← Who is Leonard Peltier and why should we care? “Check your Privilege!”: Bidding penguins to fly. From what little I have experienced of life, I believe that privilege exists, that many types of privilege exist, that privilege shapes our perception of the world, that a disadvantage in one area does not eradicate a privilege in another, that statements made in ignorance from these places of privilege can offend those who lack this privilege or are on the other end of the oppression spectrum on a particular point and that we should work towards understanding our own privilege. In this light it is not unfair to invite someone to check their privilege. However, the use of this phrase on Twitter, even where I see it is clearly calling out privilege in a previous statement, at times baffles me. I say this for two reasons. First, I say this because people are by definition blind to their own privilege. By telling people to “Check their Privilege” we are essentially telling someone to do something they by definition cannot do. It’s like telling a penguin to fly. For someone to actually come to understand their privilege they need dialogue with those outside of the specific privilege in question. This leads me to the second reason this exhortation baffles me. 95% of the time when I have seen this phrase used, it is left as an angry jab to “call someone out” or “put them in their place” for saying something that outsiders have rightly (or wrongly) seen as laden with privilege. Now maybe this is a legitimate use of this exhortation to a privileged jerk who is not going to change. However, if we really do want people to understand their privilege better and live and speak differently (which I assume we actually do), this appears counter-productive. 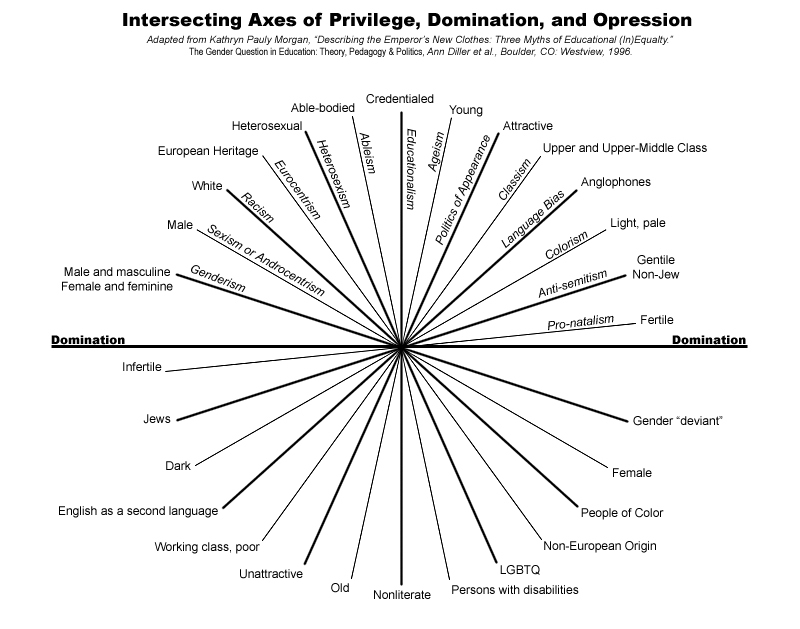 Used in this fashion, calls to “Check your privilege” carry the undertone of “I hate you” and “you’re dumb” and not “let us enter into a reasonable discussion about privilege.” This is not the sort of exhortation that invites people into conversation and dialogue, the very thing people need to come to a better understanding of their privilege. Maybe, even when dealing with a person we assume would be unwilling to actually dialogue about their privilege, we could at least try to engage in a conversation about it or at least invite them to such a conversation in a genuine manner. If we are not willing to talk with someone about privilege because we have no patience with them as an individual or the privilege in question, maybe we should just leave it for someone else to handle? I have never really sat down and listed all of my privileges and the ways in which I have the world slanted in my favor. Would any critical thinkers out there be willing to enter into a dialogue and conversation about my life to at the very least list them down and understand them more? Just comment here or on Twitter if you would be willing to. This entry was posted in Personal Commentary, Politics, Uncategorized and tagged check your privilege, introspection, privilege, Twitter. Bookmark the permalink. 4 Responses to “Check your Privilege!”: Bidding penguins to fly. The phrase does automatically suggest a “label” on the person which already puts the other person on the defensive. Some people will never understand their main privileges at all. Or they don’t want to understand their privliges that they wear in life. Others may learn over weeks, many months. I think the interesting thing is, many people would say it is a privileged thing to believe that the privileged must be educated on their oppressive behaviors by the people they are oppressing. 🙂 Not to disagree, btu if you’re still up for it I would love to have that conversation with you! I’ll be nice promise! Weird I fall into several privledge and nonpriledged groups. 1) I appear white, am young, able-bodied(mostly), I am told i am attractive. So how do i “check” as priveledged or not?